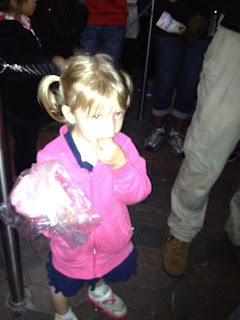 Check out the rest of our trip to Disneyland in Part 1, Part 2, and Part 3! Miss C had missed out on the cotton candy earlier in the day because she was sleeping, so while we were waiting in line for the submarine ride we got her some (she shared very nicely). Mr. K liked the lines. 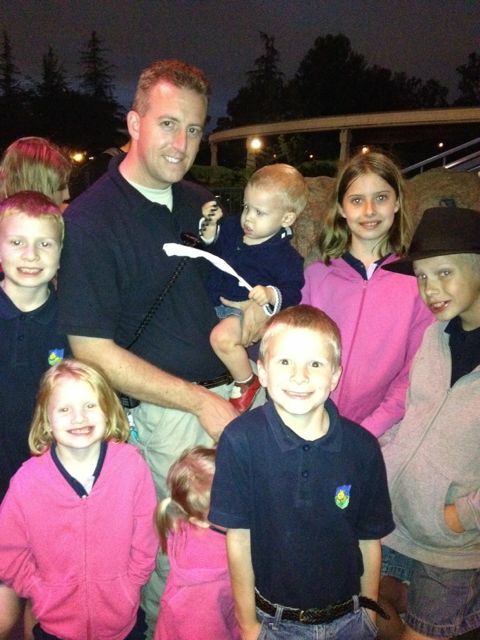 He was able to get out and stretch his legs a bit and even practiced taking a step or two. 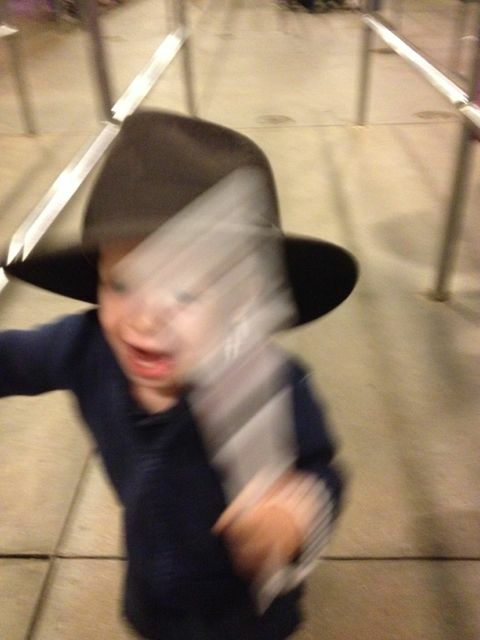 He really liked Mr. M's hat and kept swiping it. I wasn't sure how much fun Disneyland would be for a 1-year-old, but he seemed happy enough the whole time. 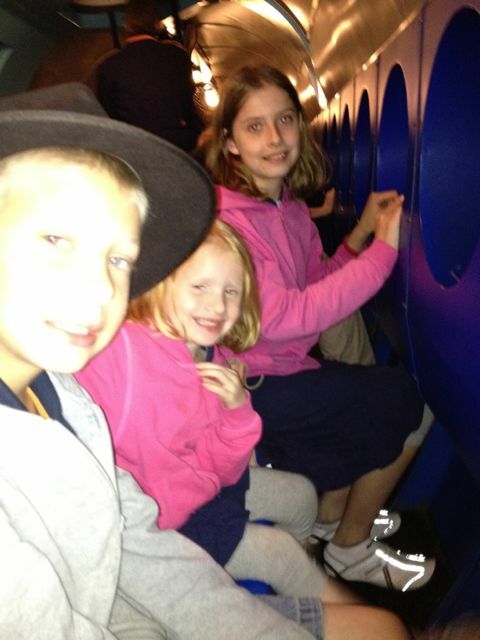 The submarine ride was a nice little break. 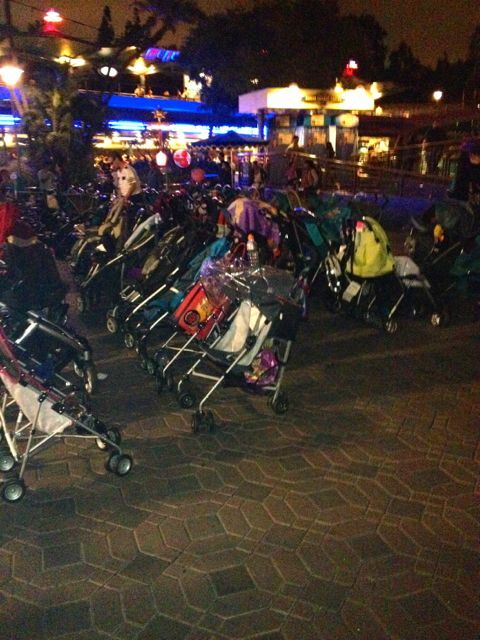 I was impressed that all of the strollers all over the park were lined up so nicely. 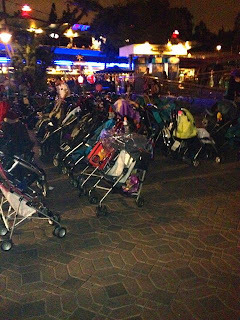 While waiting for the gang outside Autopia I saw a Disney worker re-arranging and organizing all of the strollers. 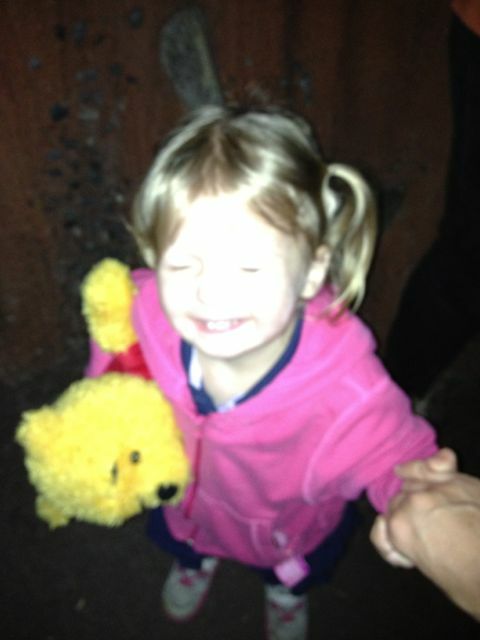 I think it is this sort of attention to details that helps makes Disneyland such a nice place to be. 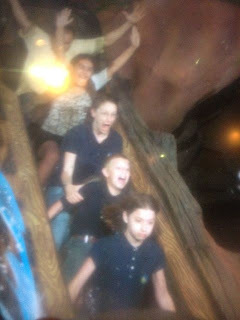 As we were figuring out what else we needed to try to get to before the end of our visit Miss E and Mr. M talked me into taking them on Splash Mountain. I'm not quite sure what I was thinking, it was dark and cooling off and those two kept talking about how wet they wanted to get on the ride. Fortunately their plans didn't quite workout and I escaped fairly dry having had a great time with those two. The line for Small world was one of the longest, but we made it back there right after the fireworks when it was not too bad. 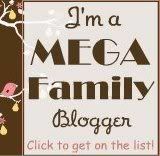 It was Miss C's favorite, she would have done it over and over again, but the line was just way too long. I did one last ride with the big kids (Pinocchio) while Rob hung out with the little ones. 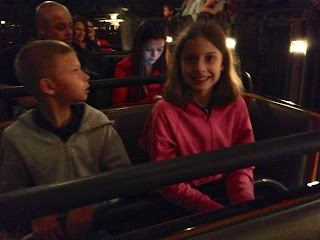 Some had hit their breaking point and we ready for bed, but the park was closing in 15 minutes anyways so we figured we should enjoy one last ride.